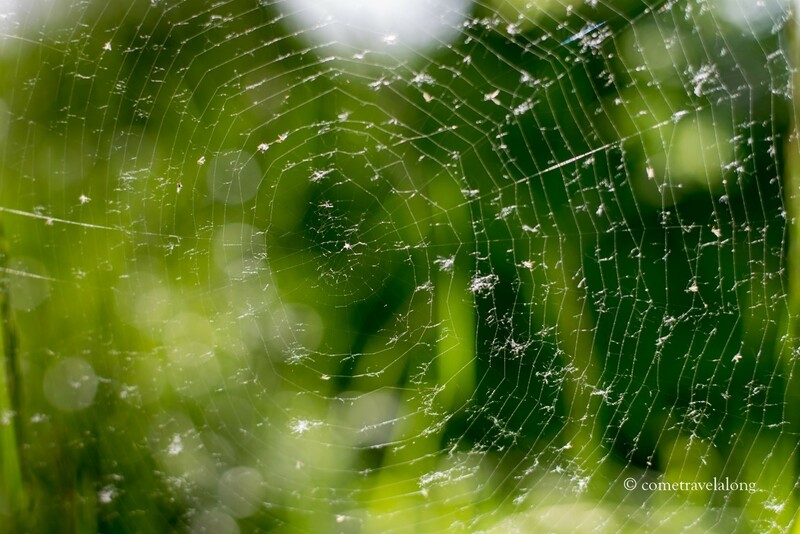 Sharing the close up of a spider web shot recently for the Weekly Photo Challenge. 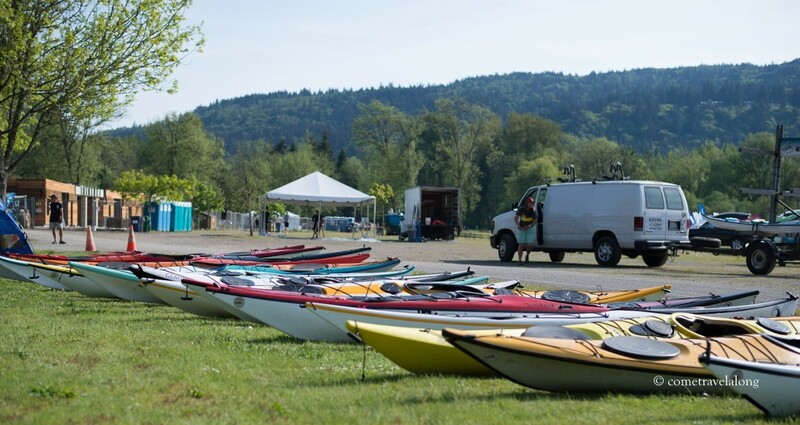 The Northwest Paddling Festival is the largest event of its kind in the Pacific Northwest. 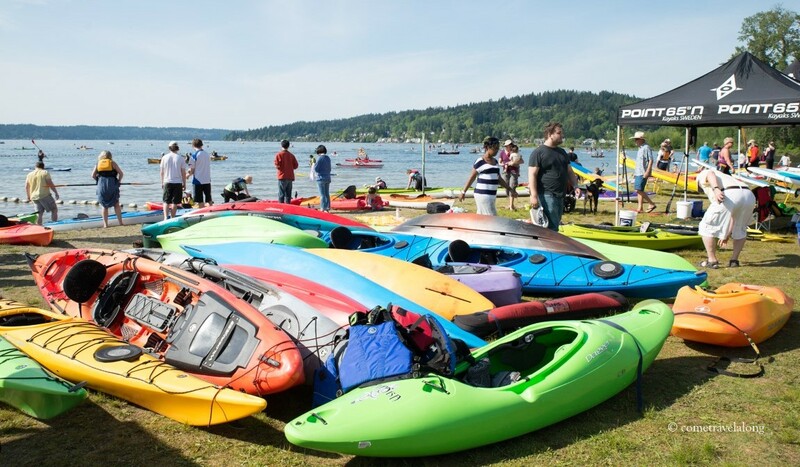 It is held at Lake Sammamish State Park in Issaquah in early May and features all types of watercrafts from sea kayaking to stand-up paddling. 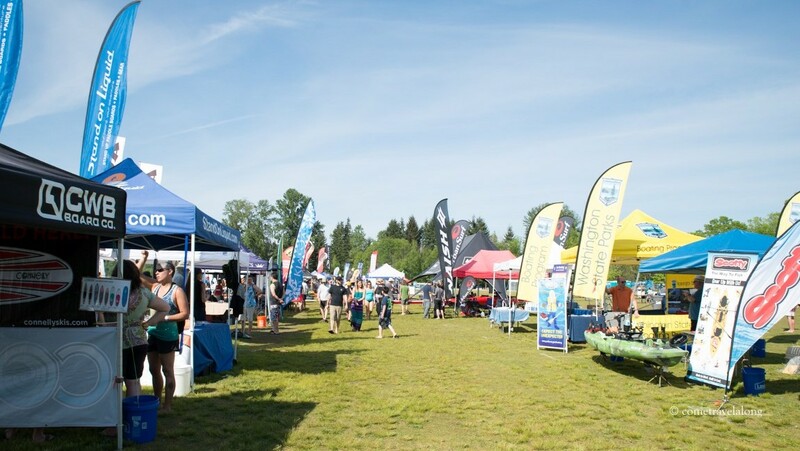 This festival brings sports retailers, manufacturers and athletes together in one location. 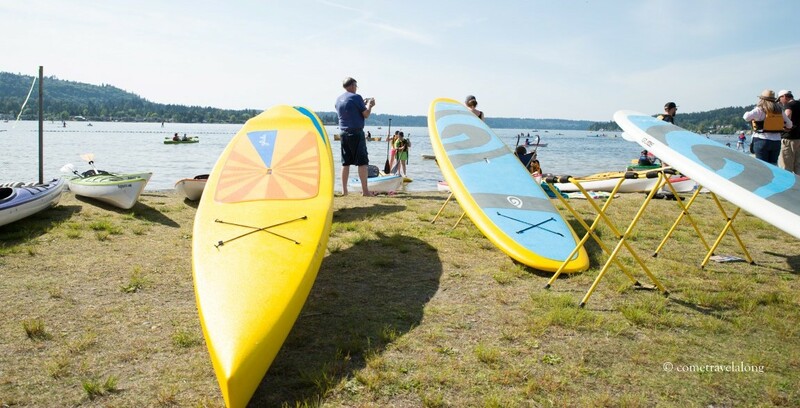 During the course of the two-day celebration of paddle sports, attendees can demo boats, take kayak tours, attend seminars and check out the latest in gear and accessories from the more than 60 paddle sports businesses. 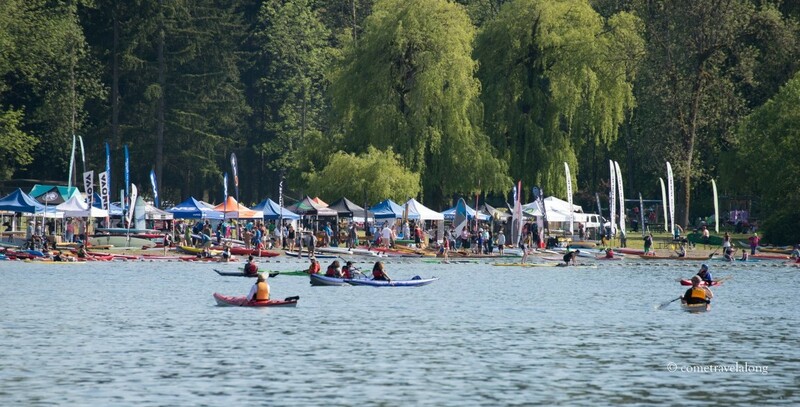 We had attended this festival last year and had fun trying various canoes in the lake. So we made it a point to keep a track of the event this year too. And we attended it this year again as it makes a good start for summer. 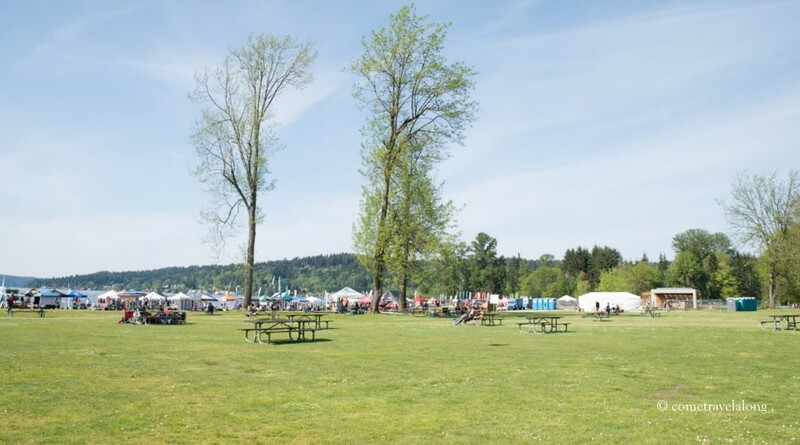 Lake Sammamish State Park is a 512-acre day-use park with 6,858-feet of waterfront on Lake Sammamish. 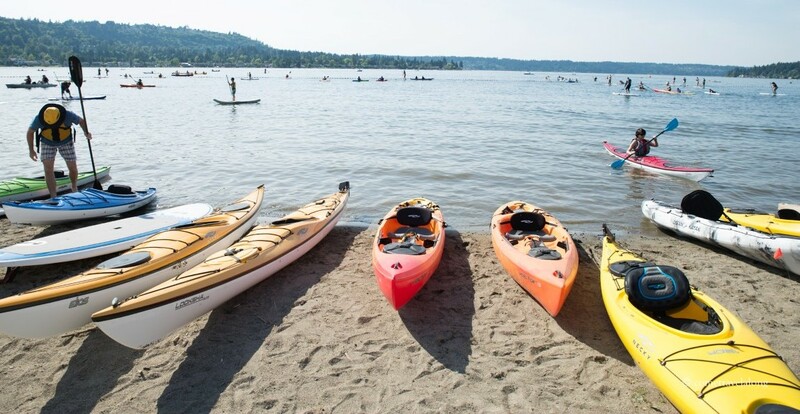 For expert paddlers or those looking to try sea kayaking or stand-up paddling for the first time, this is a place to be to get started for a summer on the water. 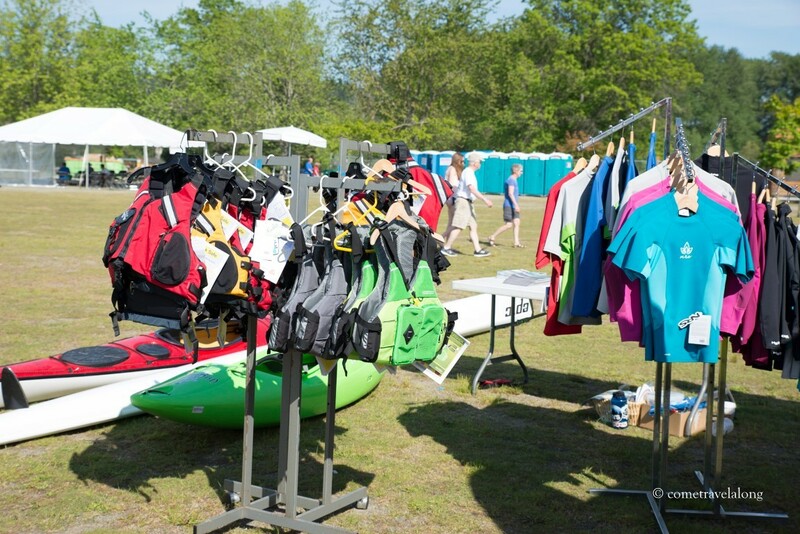 There is a nominal fee for the day to demo the watercrafts and we spent about 4 hours of the Saturday afternoon there. 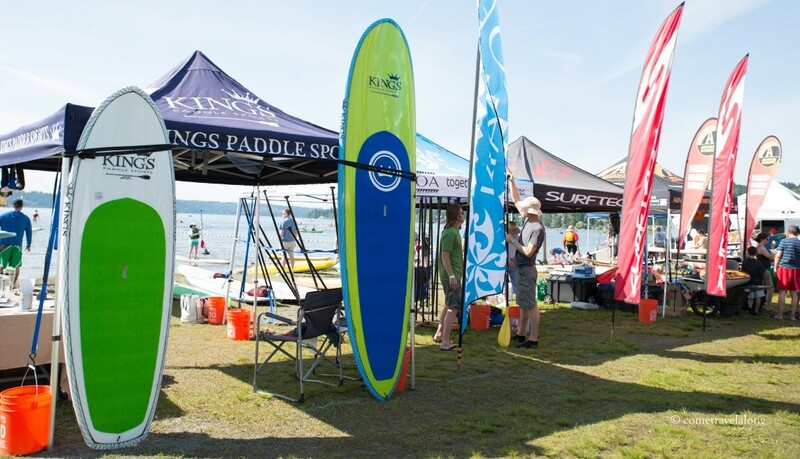 There were various paddle sports retailers, manufacturers and athletes together in one location. 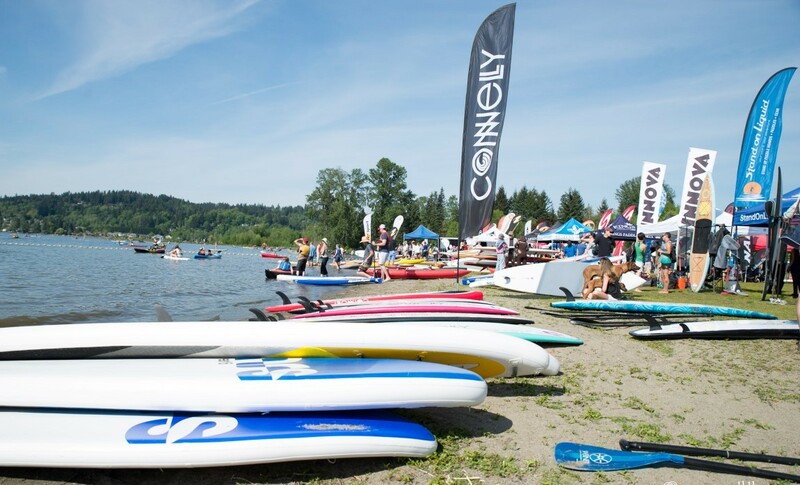 We could shop, compare and browse the best in paddle sports brands side-by-side. It was a sunny day and the colorful kayaks looked lovely in the bright sun. Even all the other gear was so colorful that I couldn’t stop taking the pictures. I did demo the sit on top and inflatable kayaks this time. My husband and I also enjoyed their tandem kayaks together. 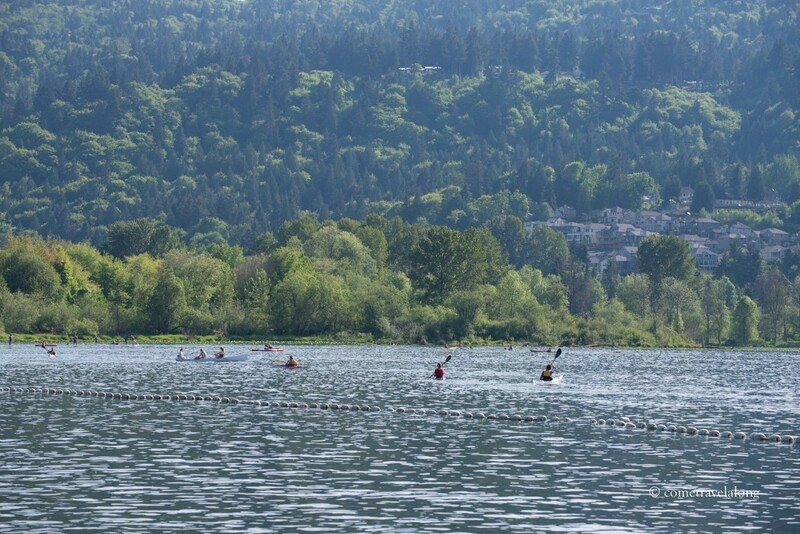 Lake Sammamish is 7 miles long and 1.5 miles wide. 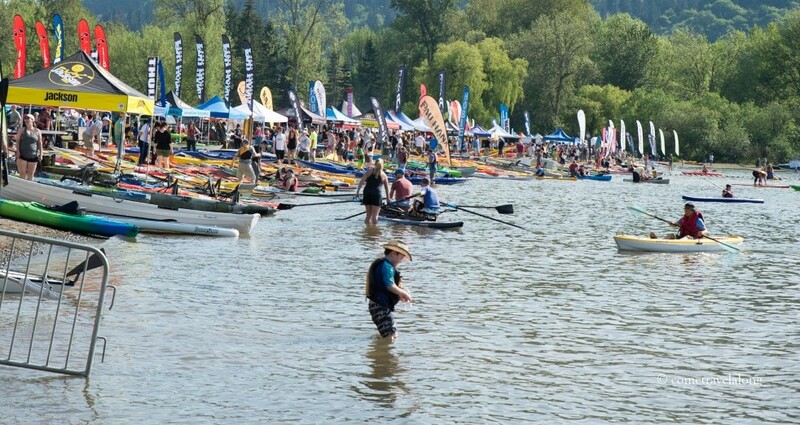 We stayed beyond 5:00 PM when officially the festival ends and the retailers pack all their kayaks and prepare to leave. We roamed for a while, clicked few pictures and headed on our way back home. 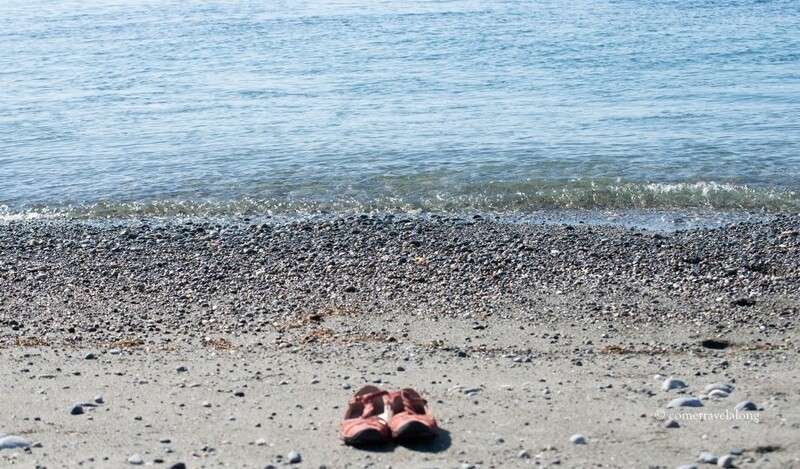 This was a wonderful start of summer. 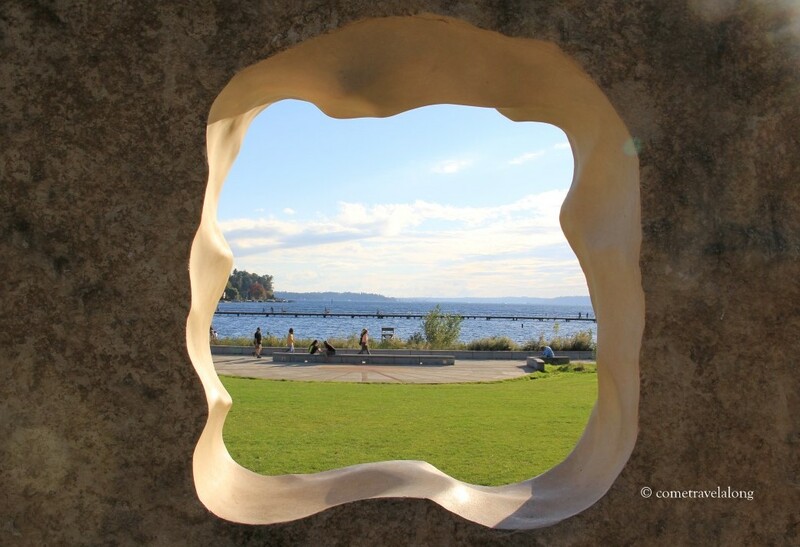 Sharing these pictures for Weekly Photo Challenge which says: this week, share an image that has two clear halves, literally or figuratively. We visited the Stehekin community last month. While riding our bikes we stopped near the Stehekin river. This water tap and other nearby objects grabbed my attention. 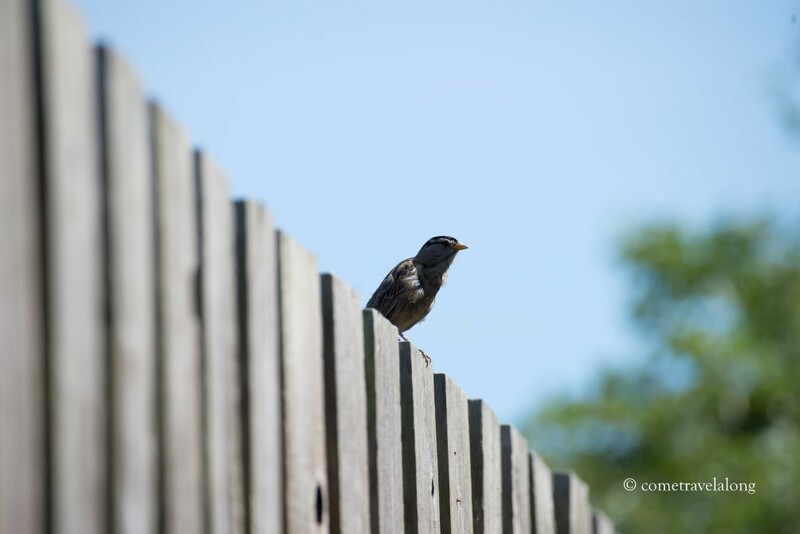 This picture is my contribution for weekly challenge: Mundane Monday. Recently captured this one pine cone and sharing here for Cee’s Fun Foto Challenge.